The ability to take part in conversation and to verbalise thoughts and ideas through discussion is vital. Each teacher, plans their school day to support children in the development of speaking and listening skills. 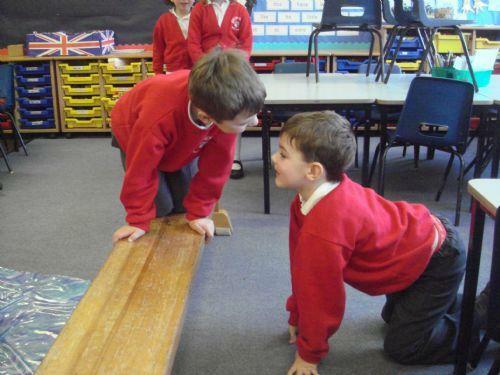 Children participate in Drama and role play whilst developing confidence. In small groups, they work collaboratively to share facts and communicate effectively. Daily lessons include opportnities for 'talk partners' where children converse with peers. A weekly 'Show and Tell' session encourages whole class listening and speaking to large groups. Who's that trip trapping over my bridge? 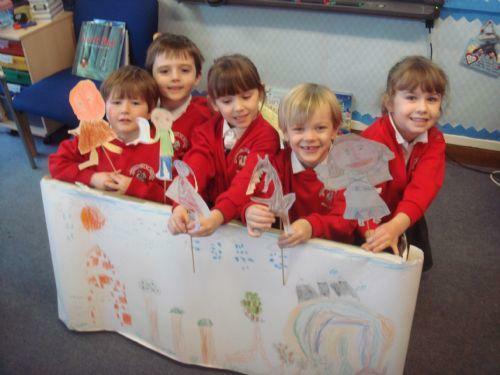 Little Red Riding Hood Puppet Theatre. Books are at the heart of our school. 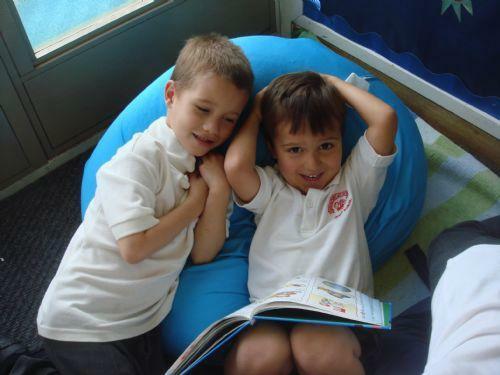 Reading is a key skill which underpins all areas of the curriculum. We encourage a love and enjoyment of books. We believe that children should read from a wide variety of texts; our reading boxes include many different reading schemes to ensure access to a broad vocabulary and wide comprehension of fiction and non-fiction books. Books are graded into colour bands where children independently choose titles on a daily basis. Parents and teachers work in partnership to listen to children read in school and at home thus enabling maximum progression. Daily Phonics lessons support reading through knowledge of letter sounds and specific digraphs for representation of sounds. Children are encouraged to use word building skills through segmenting and blending words and phrases. It is our belief that reading should be a positive experience; with praise and encouragment children will succeed, grow in confidence and make excellent progress. Reading in the Book Corner. Children are encouraged to write at every opportunity. We encourage all children, both boys and girls to ‘think’, ‘feel’, and ‘live’ experiences before putting pencil to paper. Many lessons involve group collaboration, speaking and listening, movement and practical experiences thus enhancing content and attainment of writing. Lessons are planned and carefully differentiated to enable children to meet Learning Objectives at their own level. 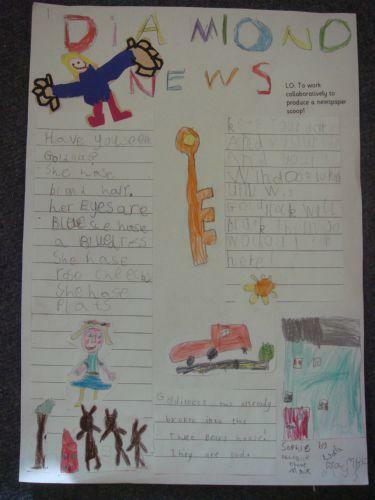 Children follow a sequential Success Criteria to focus on the technical aspects of writing. eg. The use of full stops and capital letters, adjectives and connectives. 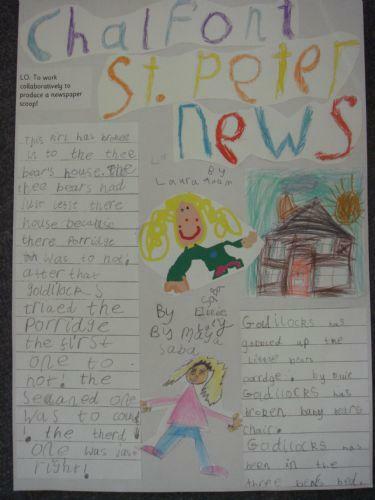 Children are given opportunities to write in varied genre including narrative, poetry, instructions, persuasive, non-fiction reports and newspapers.